A quintet of Ireland’s finest brass players – Colm Byrne and David Collins (trumpets); Cormac O hAodain (horn); Mick Marshall (trombone); and Francis Magee (tuba) – perform music by J.S. Bach, Leonard Bernstein, Kurt Weill, Michael Kamen and Jim Parker, plus a selection of seasonal gems. Colm began playing the cornet at the age of six. His father, a trombone and piano player, taught him his first scales and tunes, then sent him to his local “Navan Silver Band”. Three years later he attended the Royal Irish Academy Of Music to study trumpet with James Cavanagh. Under Mr Cavanagh’s guidance, Colm won junior and senior Feis Ceoil and also the Walton cup for Brass. During the RIAM years Colm took part in ten years of ensemble playing including the National Youth Orchestra of Ireland, Irish Youth Symphonic Wind Ensemble, and The European Wind Ensemble. At fifteen Colm performed the Hummel Trumpet Concerto with the RTE Concert Orchestra as part of a European Broadcasting Union “Young Soloists” concert and broadcast. To further his studies, Colm moved to Glasgow and the Royal Scottish Academy of Music and Drama where he studied trumpet with John Gracie, principal trumpet with the Royal Scottish National Orchestra. He finished his degree and took with him the Governors Recital Prize for Brass, numerous chamber music prizes and a scholarship to Aspen School of Music. Returning to Ireland Colm began his professional career as a teacher and freelance trumpeter, playing with both RTE orchestras, the Ulster Orchestra, Irish Chamber Orchestra, Orchestra of Saint Cecilia, Royal Scottish National Orchestra, BBC Scottish Symphony Orchestra and Scottish Chamber Orchestra. Colm has played solo works with the Rukert Chamber Orchestra, Irish Youth Symphonic Wind Ensemble, the RIAM Symphony and Baroque Orchestras, the Orchestra of Saint Cecilia , the RTE Concert Orchestra and the National Symphony Orchestra Of Ireland. Colm has also been recorded extensively on numerous movie scores and an array of albums of different genre. 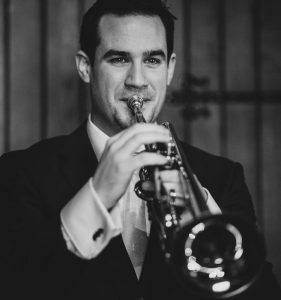 Following a return to part-time study Colm obtained his Masters Degree in Music from Dublin City University and the Royal Irish Academy of Music where he has taught trumpet for the past fourteen years. In April of 1999 he joined the brass section of the National Symphony Orchestra of Ireland as co-principal trumpet and in 2006 performed Haydn’s trumpet concerto as soloist. 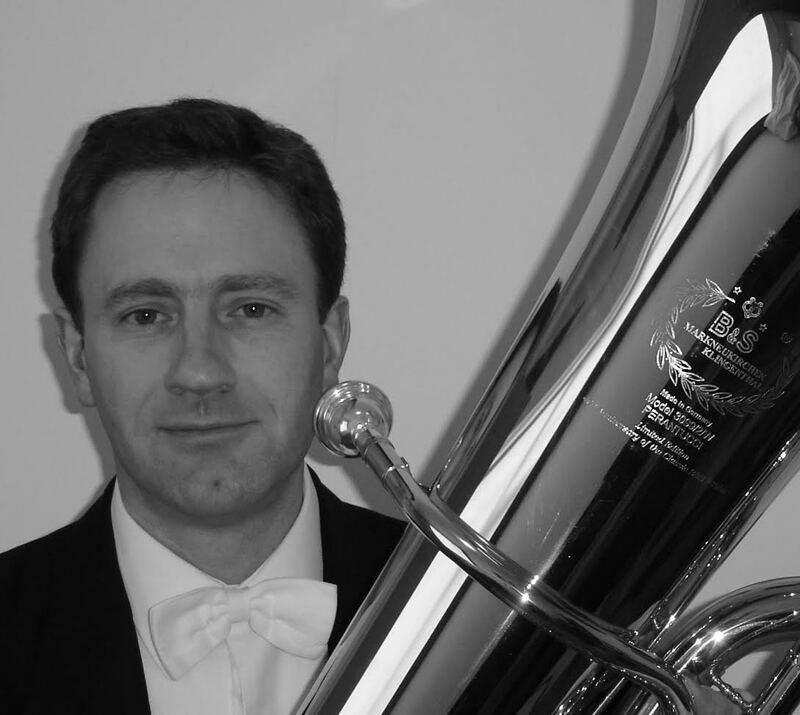 A graduate of Glasgow University, Francis studied tuba at the Royal Scottish Academy of Music and Drama (where he won the Governors’ Recital Prize for Brass) and the Royal Northern College of Music in Manchester. He was Principal Tuba of the European Community Youth Orchestra under Claudio Abbado with whom he toured Europe. After college Francis enjoyed a busy freelance career. Working mostly with Scottish Opera and the Scottish Chamber Orchestra he also performed with many of Britain’s symphony orchestras, such as the Royal Philharmonic and BBC Symphony in London, the BBC Philharmonic in Manchester, the Royal Liverpool Philharmonic, the BBC Scottish and Royal Scottish National Orchestras. He moved to Dublin in 1997 when he joined the RTÉ National Symphony Orchestra. More recently he has performed as a guest principal with the BBC National Orchestra of Wales, BBC Scottish, Ulster Orchestra, Irish Chamber Orchestra, and Cyprus Symphony Orchestra. A keen chamber musician Francis was a member of the Scottish Chamber Orchestra Brass Quintet for 10 years giving regular recitals and educational workshops throughout Scotland, and recording for CD and radio. He has appeared on television and radio with the BBC Scottish Brass and Athenaeum Brass and is currently a member of Earlsfort Brass and Dublin Brass. Michael began playing the trombone with the Mayfield Brass Band in Cork when he was 9. Three yeas later he joined the Cork School of Music and was a student there until he graduated with a BMus in 2001. In 2003 he graduated from the Guildhall School of Music and Drama in London with an MMus and after this received the Archers Jazz Scholarship at Trinity College London, specialising in music of the big band era. 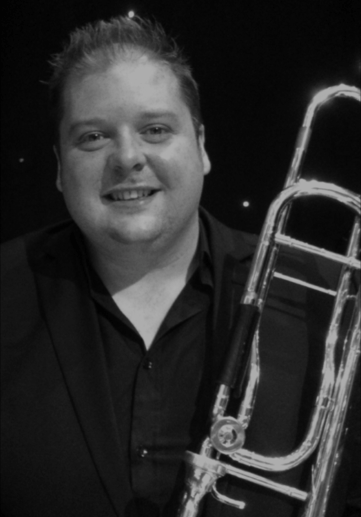 Michael has been a freelance trombonist in London and Ireland for the past ten years and has played in many different ensembles, styles and genres. Some include, both the RTE Symphony and Concert Orchestra, Irish Chamber Orchestra, Wexford Festival Opera, Ulster Orchestra, Crash Ensemble, Royal Philharmonic Orchestra, Bournemouth Symphony, Liverpool Philharmonic, Cyprus Symphony, and the Tenerife Symphony. Michael has also been involved in a lot of musical theatre in west end musicals and touring musical productions, some of which include Fame, Chicago, Annie, Legally Blonde, Chitty Chitty Bang Bang, White Christmas, Fiddler on The Roof and many more. He has played with the Glenn Miller UK Big Band, Jay Craig Big Band, Bobby Lamb Big Band and is a member of The Bones of Cork. 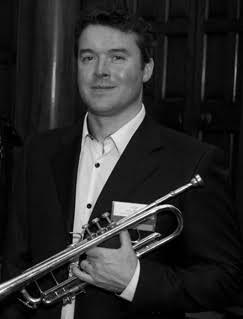 Michael was appointed Associate Principal Trombone with the RTE Concert Orchestra in November 2011. Born in Dublin in 1971, Cormac O’hAodáin studied horn with Victor Malirsh at the Royal Irish Academy of Music. He continued his studies at the Royal Northern College of Music, Manchester and the Guildhall School of Music and Drama in London. Between 1993 and 1996 Cormac represented Ireland in the European Union Youth Orchestra, working with such eminent maestros as Carlo Maria Giulini, Kurt Sanderling, Georges Prêtre, Bernard Haitink, Mstislav Rostropovich and Vladimir Ashkenazy. In 1997 he joined the Royal Philharmonic Orchestra under Daniele Gatti, also working with Yuri Temirkanov, Neeme Järvi, Paavo Berglund, Sir Yehudi Menuhin and Sir Peter Maxwell Davies amongst others. In 1999 Cormac moved to the Philharmonia Orchestra, performing with many of the world’s leading conductors, such as Wolfgang Sawallisch, Evgeny Svetlanov, James Levine, Sir Charles Mackerras, Christoph von Dohnányi, Christian Thielemann, Esa-Pekka Salonen, Charles Dutoit, Valery Gergiev, Gennadi Rozhdestvensky and Lorin Maazel. With these orchestras Cormac has toured extensively throughout Europe, Scandinavia, Russia, North and South America, the Near and Far East, Australia and New Zealand. Since 2009 Cormac has been a member of the RTÉ Concert Orchestra. In 2010 he performed Aloys Fleischmann’s Cornucopia for Solo Horn and Orchestra with the RTÉ CO as part of the Fleischmann Centenary year celebrations and in 2012 performed Richard Strauss’s 1st Horn Concerto with the RTÉ National Symphony Orchestra. 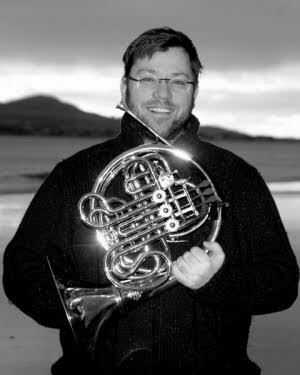 Cormac has considerable chamber music experience and is a founding member of Cassiopeia Winds Wind Quintet, Vox Merus Brass Quintet and Musici Ireland Chamber Ensemble.